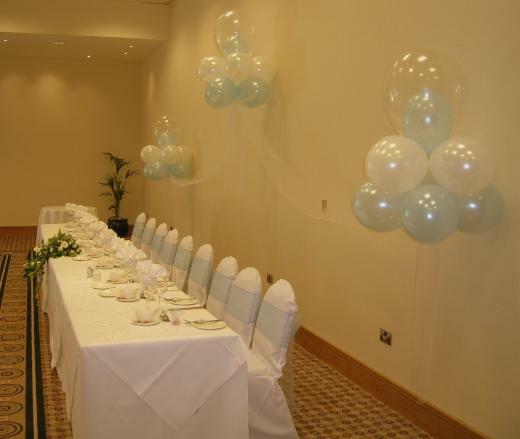 Cloud 9 displays consist of 8 helium filled latex balloons, and are topped off with a Double Bubble balloon. 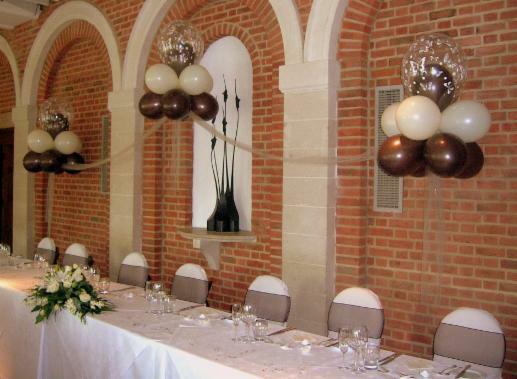 Cloud 9 displays are popular at weddings, where they are most commonly used to frame the top table. They can of course be used for any occasion from birthdays and anniversary parties to christenings, valentine's balls or theme parties. We can also supply them singly to be used either side of doorways, windows, buffet tables, cake tables, DJs, top tables etc. We can make up Cloud 9 in virtually any colour to suit your theme. 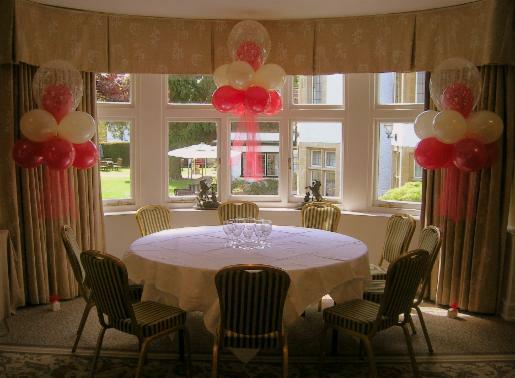 The top clear balloons can either be plain, or printed with a variety of designs including roses, 'Just Married' prints, butterflies, doves, stars, Happy Birthday etc.